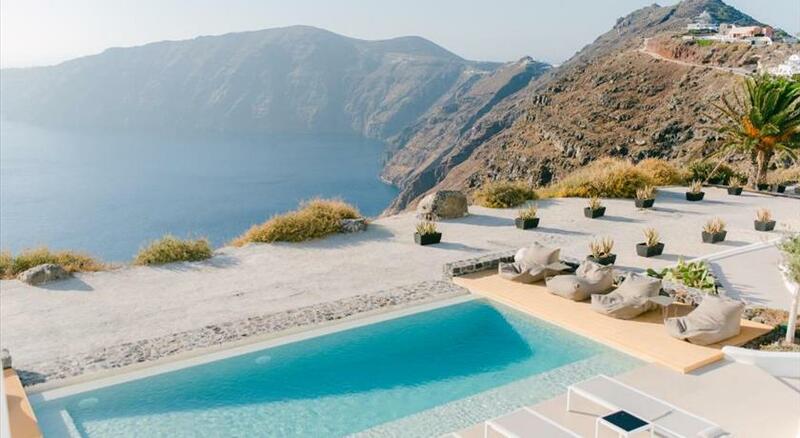 This cliff-top Santorini hotel offers a spectacular panorama of the Caldera and the Aegean Sea. All rooms include a spa bath and balcony, and an outdoor pool with terrace is available. Well-equipped kitchenettes and free Wi-Fi are standard amenities in all accommodation at Aeolos Studios & Suites. Aromatherapy bathroom amenities, bathrobes and slippers are provided. A bottle of wine and a bottle of mineral water are offered upon arrival. Guests are greeted with free wine upon arrival, and can order in-room continental breakfast, enriched with local products. The Aeolos Studios is within 5 minutes’ walk from area restaurants , markets and bars. 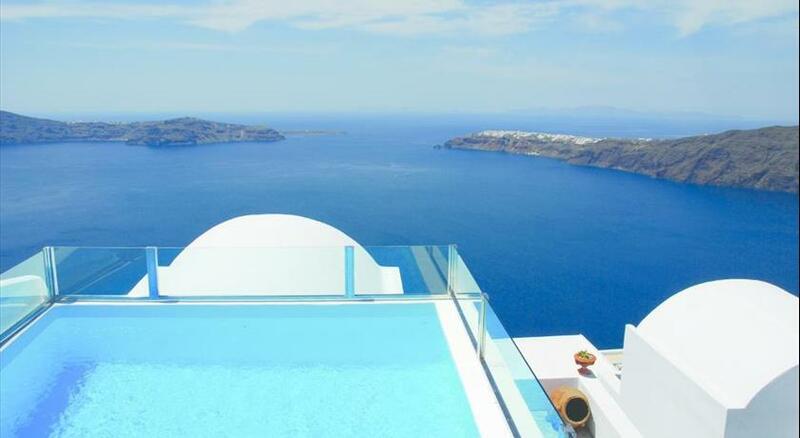 Sun loungers line the Aeolos Suites’ outdoor pool, which offers views of the Aegean Sea and volcano. Wellness and aromatherapy treatments are available poolside or in the guest rooms. The Aeolos is located in Imerovigli , just 1.5 km from Fira’s centre. Thira Airport and Santorini’s Ferry Port are within 15 minutes' drive. Nearby there is a free public parking. Taken from a drone fly over that shows the hotel from above. 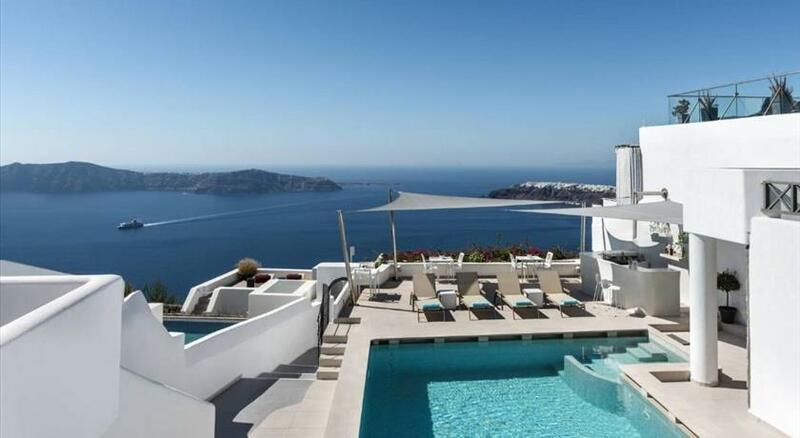 Aeolos Studios & Suites is located in Imerovigli's caldera. Please inform Aeolos Studios & Suites Adults Only in advance of your expected arrival time. You can use the Special Requests box when booking, or contact the property directly with the contact details provided in your confirmation. Please let Aeolos Studios & Suites know your expected arrival time in advance if you arrive after 21:00, since the reception is not open later than this time. You can use the Special Requests box when booking or contact the property. Please note that due to the particularity of the caves, the property cannot accommodate guests with mobility issues, children up to 14 years old and pregnant women.